Welcome to my very first blog post! I’m super excited and eager to share lots of updates and useful information and tips with you over time. Let’s start by talking about my favorite time of year, Christmas and the Holiday season! Since the hustle and bustle of the Holiday season is upon us, I wanted to start off by saying that I know we all have so many things to do – preparing the house for the holidays, baking and cooking, making time for gift shopping, and most importantly setting aside time to enjoy the wonderful Holiday spirit with family and friends. There is so much to do, and it can certainly be stressful, but hopefully I can help you ease some of the hassle by discussing one of my favorite things…making lists! 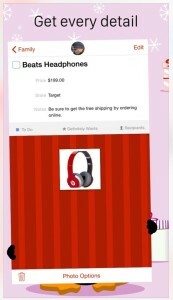 In terms of gift lists for family and friends, I have always resorted to making a detailed list in Excel complete with names, gift ideas, check boxes for purchases made, stores to purchase gifts from, and numerous color codes to help guide my progress. 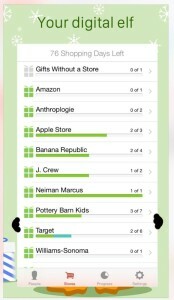 It worked for me, for several years, but I found myself sometimes forgetting the list at home, not updating it regularly, and overbuying! This year I decided to try something different, and it has been an amazing discovery that I wanted to share with you. 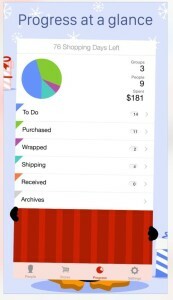 I decided to download an iPhone app called “The Christmas List” by ERIK Eggleston. Group your people by family, friends, coworkers, kids, etc. 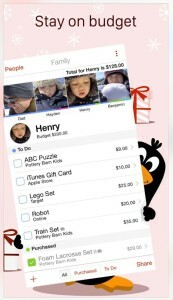 And there is a lot of customization you can do like change the background to different colors and patterns, add Holiday icons to each person in your list such as a snowman, penguin, gift box, candy cane, and more! 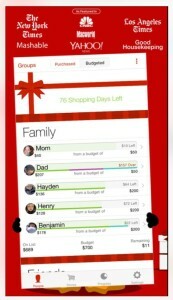 If you have a Holiday gift list system that works for you, I would love to hear about it! 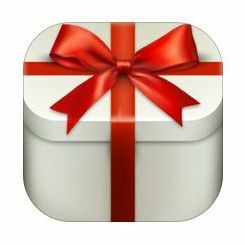 But if you’re looking for something new and want to try an electronic method, consider this phone app for all your gifting needs. In general, remember the importance of checklists, they help you not rely solely on memory, and there can be great satisfaction in checking off items from lists. I really hope this information has been useful to you and that you have fun with all your Holiday preparations and shopping! My warmest wishes to you all for the Holiday season and New Year!